You don't want to miss Spades Night this month at Kimberly Kimmell's house!!! Space is limited to sign up early to get your spot!! Fun Sign & Go's Still Available! Don't miss this opportunity to sign up for one or more of the fun Sign & Go's that were first offered at Pistols & Pearls!!! Limited space is available - but you can sign up and pay right here on the website Event Calendar! Last year's similar events were a blast according to their sell-out crowds!!! 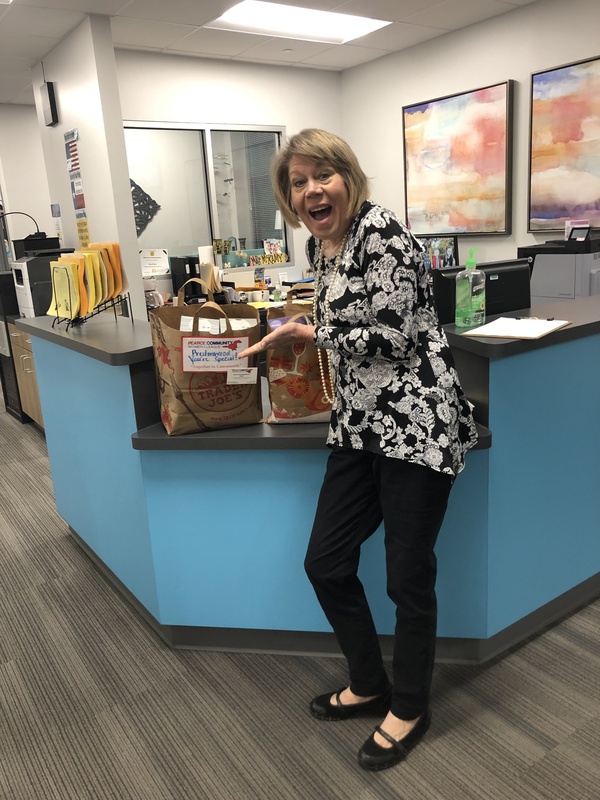 Our amazing Community Services chairperson, Tammie Engels and many of our wonderful PCWL members made possible a 70 pounds total school supply delivery this month!!! Thanks to all who donated for your generosity, shopping and delivery times!!! 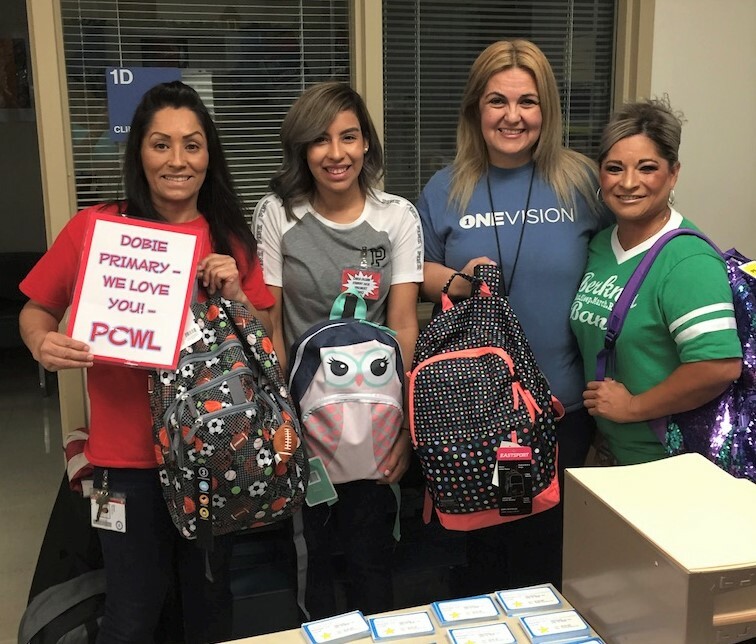 Below are the happy faces taking delivery at Prestonwood (Nancy), RISD Academy (Maria) and Northrich! Our dedicated PCWL volunteers were responsible for the effort of packing boxes for the underserved in Panama. Thank you to each of you for your time and efforts that are making a difference in so many lives!!! 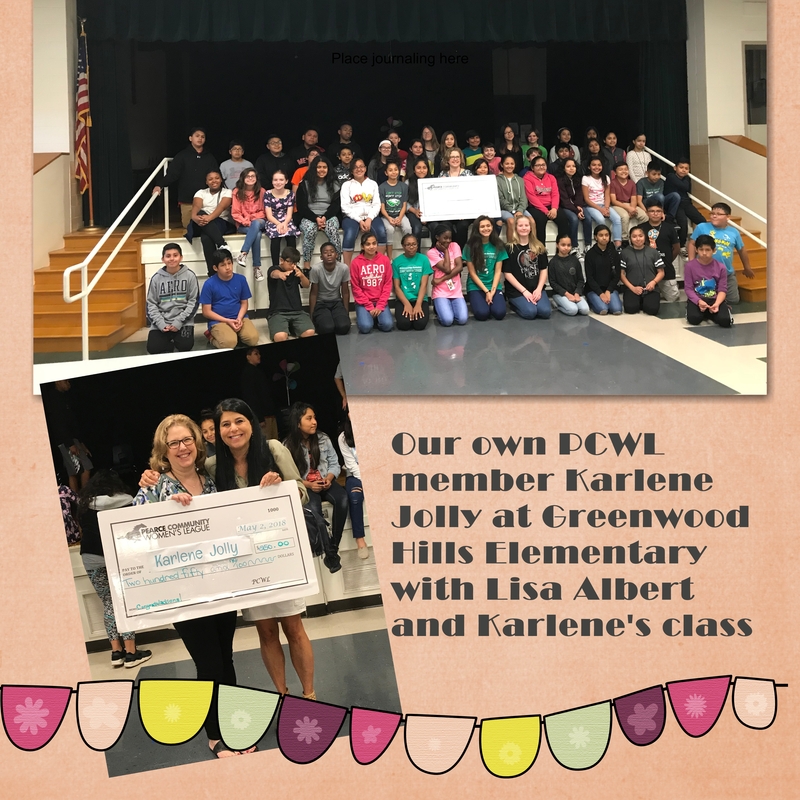 PCWL Members are generous with their time and donations! 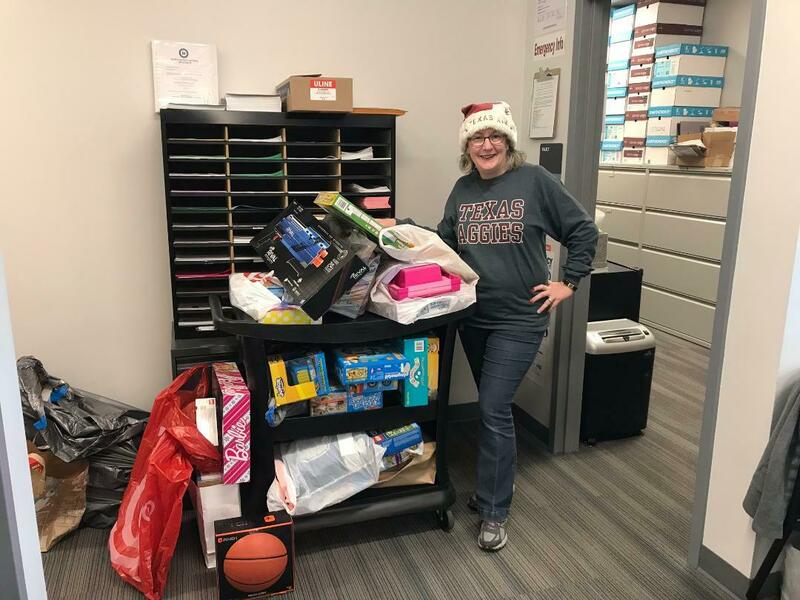 Our annual Toy Drive produced 152 toys to our Pearce area school children. We also had seven members who assisted in our inaugural visit to North Texas Food Bank. The food bank participation achieved 8 pallets of sorted food which can make up to 4800 meals! WOW!!! Thanks to all of our wonderful members and volunteers and to Tammi Engels for her enthusiasm and guidance in making these commitments! Sweet Thank You Notes Here! Just as in the old PTA days, PCWL cannot reimburse or pay sales tax. Any member purchasing items for PCWL should download and print the Tax Exempt Form available on the website under Forms and Documents and give to the seller for a tax free purchase. Please keep a copy of the form with you for valid purchases. Any questions, please call Deb Tucker. 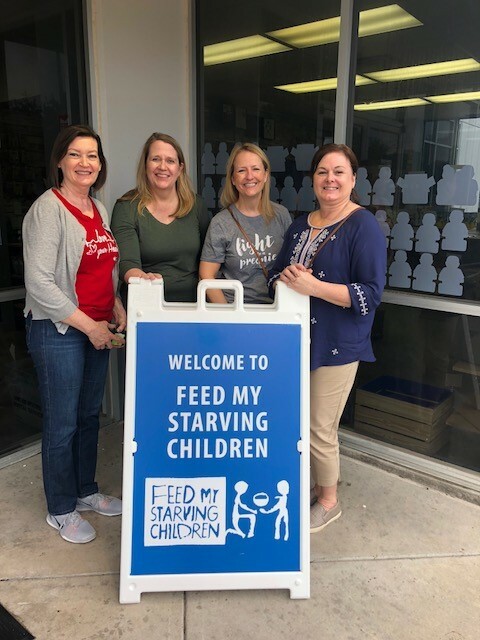 Our PCWL Moms Volunteer to Feed Starving Children! 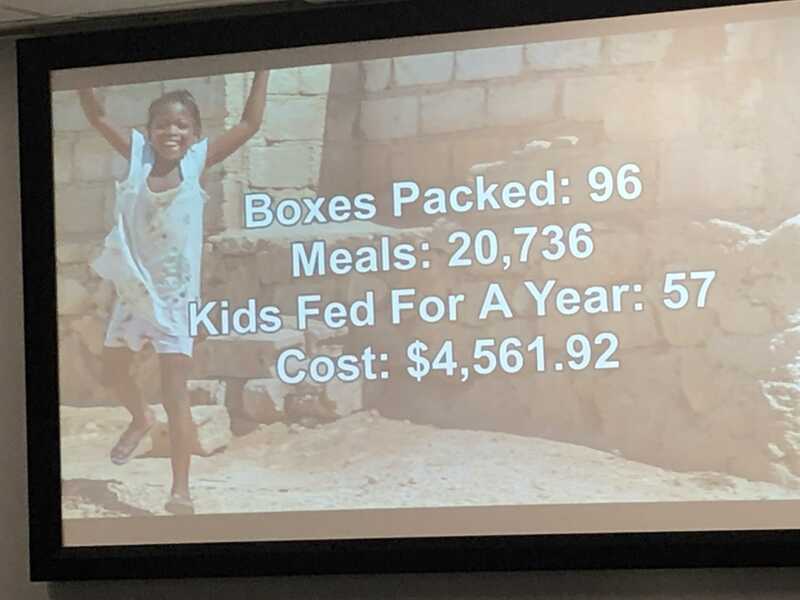 On Saturday, September 21, PCWL members were part of a volunteer group that hand packed enough meals to feed 63 malnourished children for one year in Cuba. 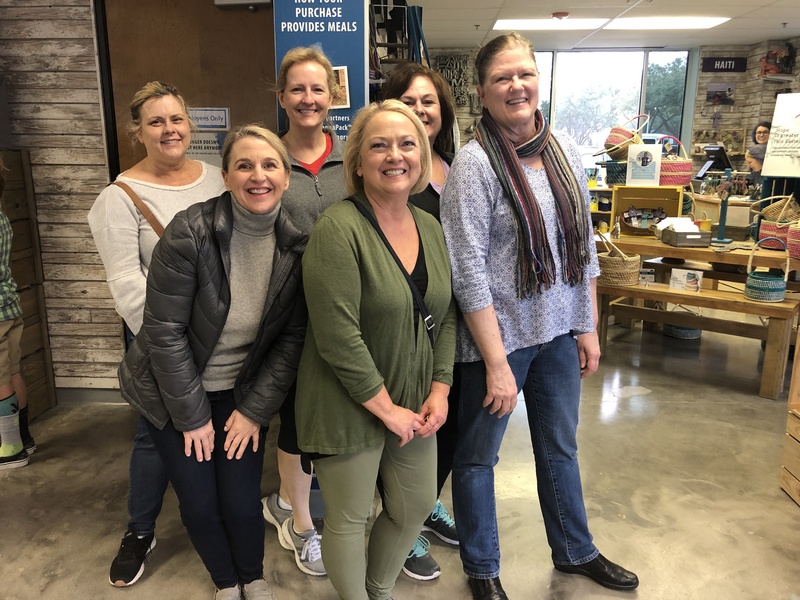 Look for the next opportunity to pack meals at FMSC on October 20, 2018 from11:30am-1:30pm. Signups will only be allowed up to October 15 at 3:00p. 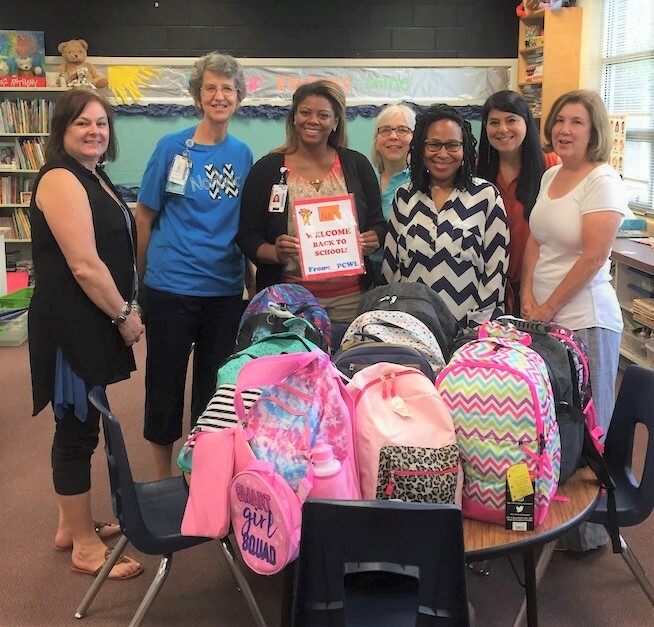 Thanks to all of you, we surpassed our goal and delivered a total of 87 backpacks on 8/13 to Bukhair, Dobie, Prestonwood, Greenwood Hills and Northrich Elementary!! Our schools were thrilled! You should be proud! 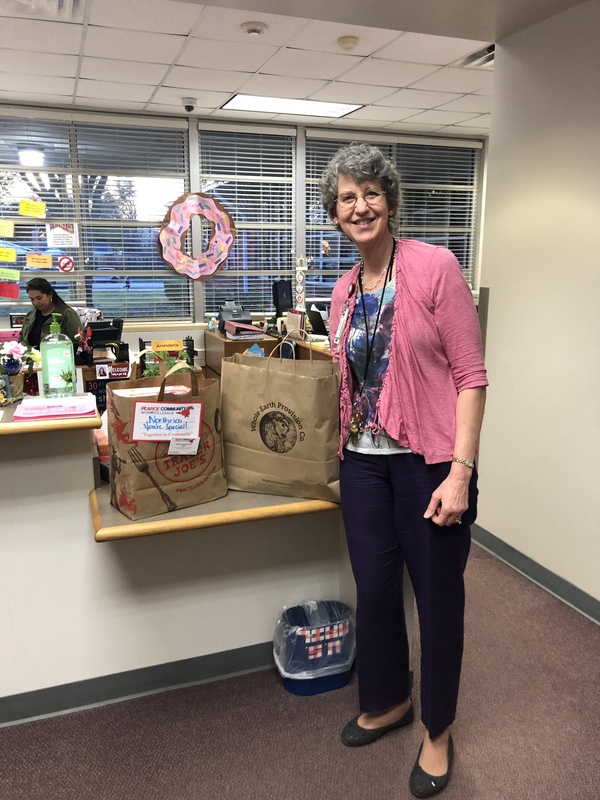 Special thanks to our PCWL mom volunteers that assisted in delivery: Tomi Morriss,Lisa Albert, Laura Bartolome, Susan Heimbuch and Leslie McFarlane. We couldn't do this wonderful annual backpack drive without the love and dedication of all of our members - both active and sustaining! Thank you for your time and generosity from the staff of these schools and the children they serve!!! Check out more backpack delivery photos HERE. 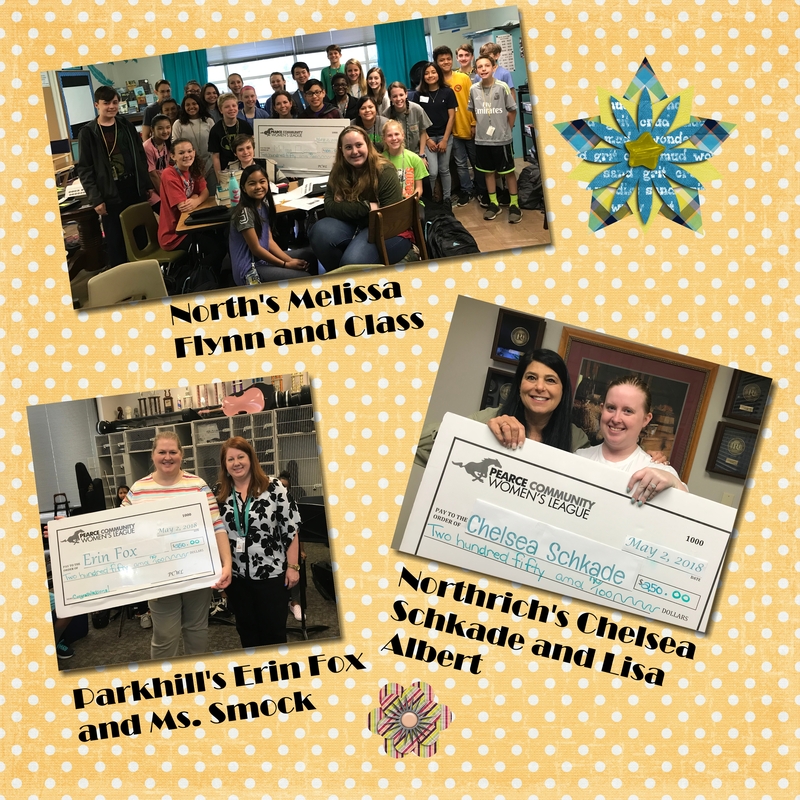 Our Legacy Scholarship Winners 2018! Be sure and check out more scholarship shopping pictures HERE. A 2005 graduate of JJ Pearce HS, Ben epitomized “student-athlete.” He was captain of the football team, earned all-state academic honors, as well as all-city and all-district honors. Ben was a great man, husband, son, brother, uncle, cousin and friend. To celebrate his amazing life and the impact he had on others, his family is establishing the Ben Neighbor Scholarship Fund. Ben’s legacy will include scholarships to deserving Pearce High School students who exemplify Ben’s life of integrity, kindness, leadership, effort and heart for welcoming and embracing all. 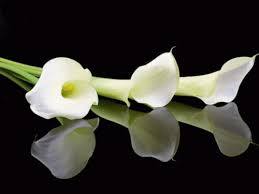 PCWL sends their deepest sympathy to Ben Neighbor's family, his wife Beth, parents and extended family. To donate to his memorial scholarship, please click HERE. 100% of all donations are used for annual scholarships to graduating Pearce area students. 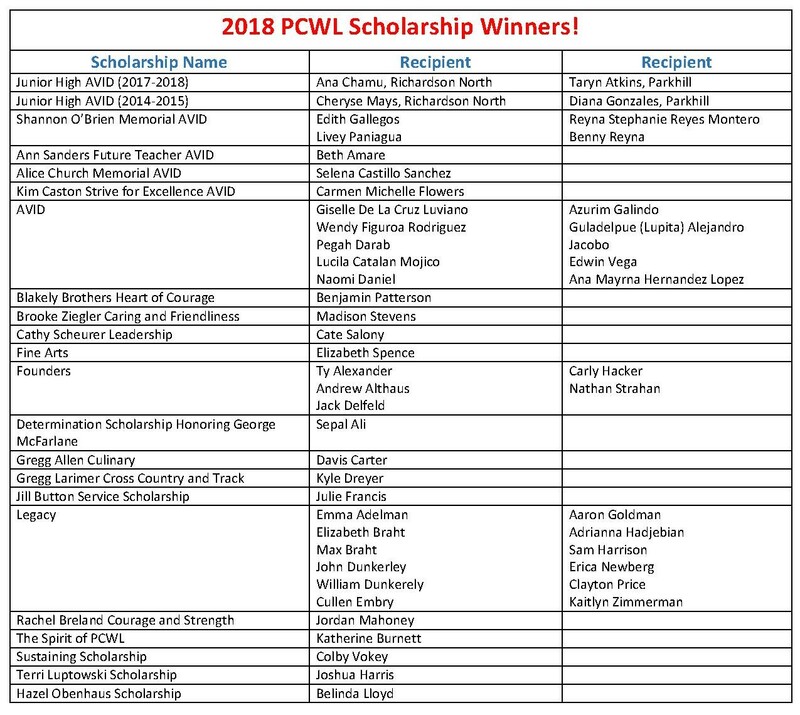 PCWL appreciates your donations and Ben's family will be informed of all donations made to his memorial scholarship. Want to Become a Member of PCWL? Is your last child a Pearce High School Senior ready to graduate or will your last child be a Senior at Pearce this coming fall? Want to stay involved in your community or finally enjoy some time for yourself socializing among women who are former Pearce busy moms? We want you!!! Please express your interest to our membership chairperson, Kathy Weatherford at kweatherford@earthlink.net or 214-762-7194 today! 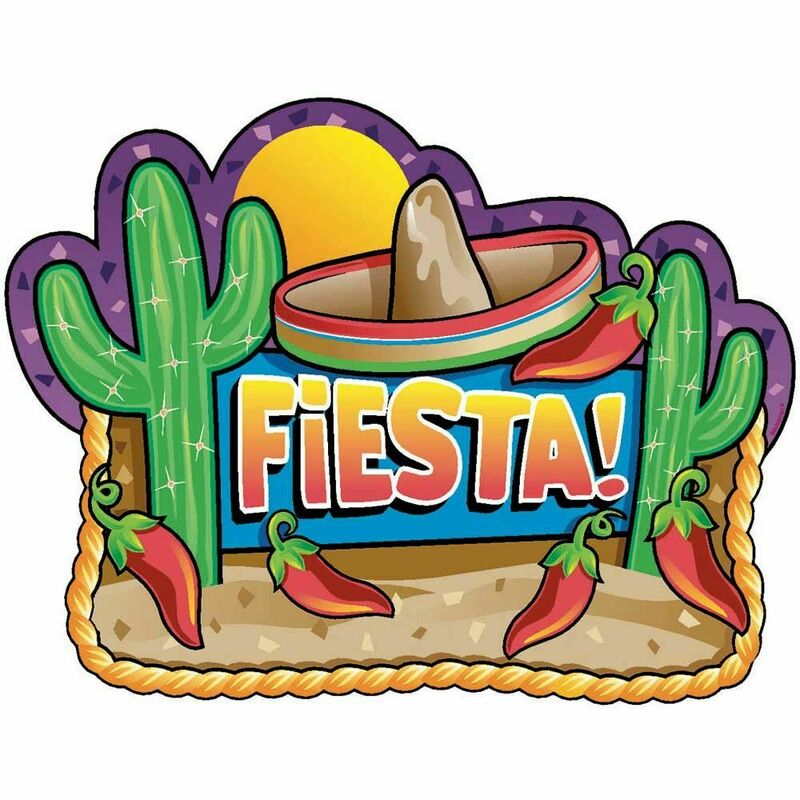 We would love to invite you to one of our events so you can see how much fun we have now that the kids have run away!!! PCWL Ladies Spread Holiday Cheer to Pearce Area Kiddos!!! 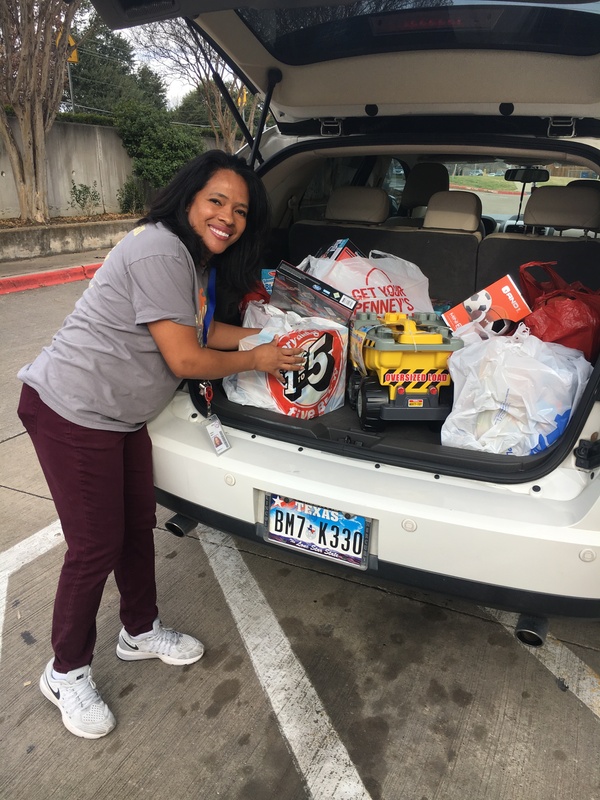 PCWL's annual Toy Drive resulted in 35 members donating 121 toys to four Pearce area elementary schools. Many thanks to our generous members from some very grateful and surprised children! How many girls are in the squad? There are 22 members of the Pearce Pom Squad. What is their mission? My mission for the Pearce Pom Squad is to provide a dance team, separate from Pacesetters, for JJPHS students. Pearce is a large campus, therefore there are many students on campus who have not found a group, team, organization to be a part of. By creating the Pearce Pom Squad, more dance students have been given the opportunity to belong on a team, which is allowing them to continue their dance training and gain performance opportunities. 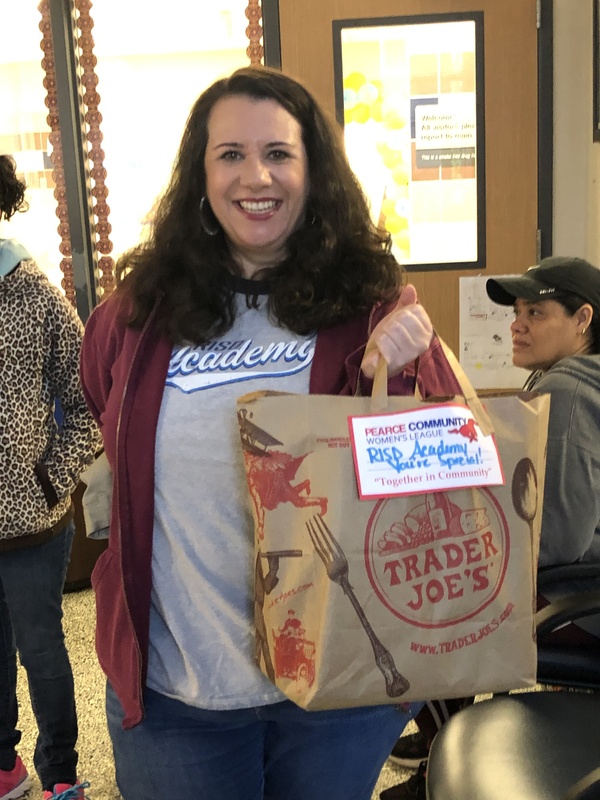 Another mission of the Pearce Pom Squad is to spread “Pearce Pride” throughout the entire community and feeder pattern, specifically reaching out to the elementary schools not neighboring the high school. Is the goal to have a pom squad every year? Pearce Pom Squad will continue for many years to come, hopefully indefinitely. One of the perks of this organization is the students are earning a semester credit for Fine Arts. We are hoping all Pearce Pom Squad members either go on to become Pacesetters or continue to serve as members on the Pom Squad, serving as role models for the new members we will gain next year. What exactly did we buy for them? With your generous donation, we were able to purchase beautiful performance tops as well as bows that are worn while performing, along with team duffle bags. The duffle bags are used to carry their workout clothes to and from school. The members also use their duffle bags when traveling to and from events and performances; they use their bags to carry their poms, cover ups, shoes, etc. PCWL extends their very best wishes and congratulations to these lovely young women and their coach for many happy years of Pearce spirit!!! Our newest PCWL philanthropic commitment is helping to fund the new JJ Pearce student government. 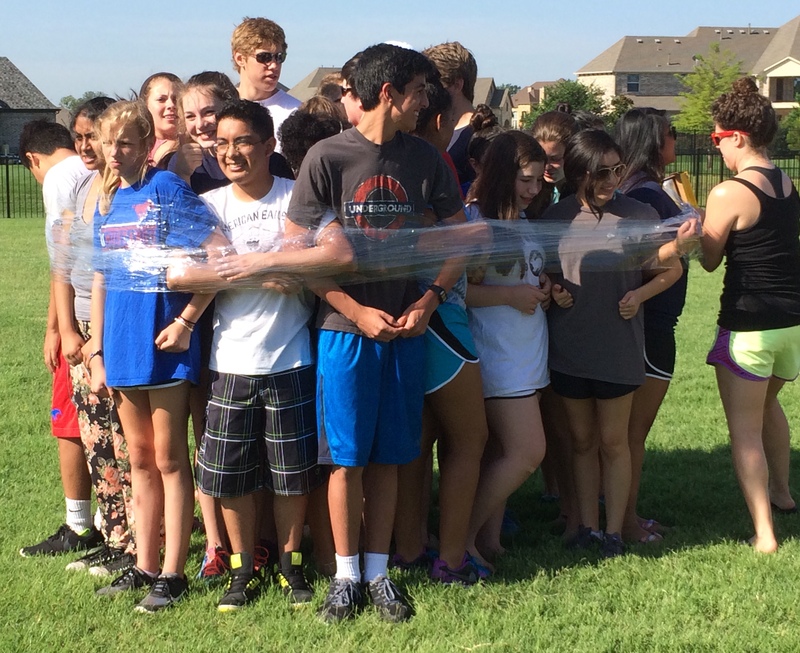 On June 19 the newly elected JJ Pearce student officers participated in team building exercises at their morning retreat in Parker, TX. “Our 28 student officers have been elected to serve as the voice of the student body and to propel the necessary changes that will create a more unified Pearce High School. These students were chosen to serve as student government officers based on application essays, teacher recommendations, interviews, and student body voting. The goal is that this program will filter down to the junior high and elementary schools preparing our students to be our future leaders.